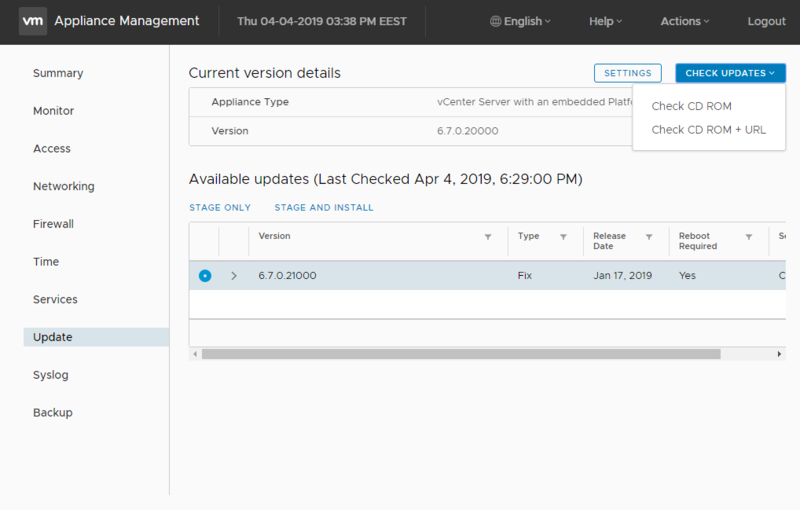 In the latest versions of vCSA the update process got simplified, since you can do it directly from the vCenter Server Appliance Management Interface (VAMI). 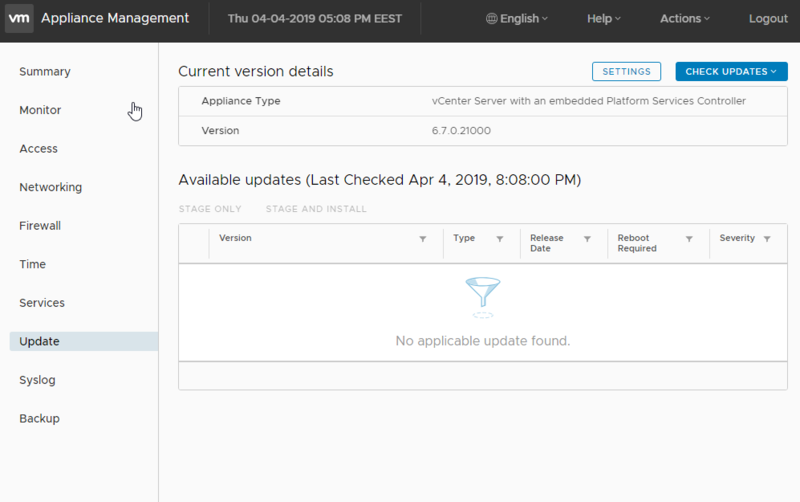 Before you start the process of updating I recommend you to have a recent backup of the appliance or take a snapshot in case the update will fail. 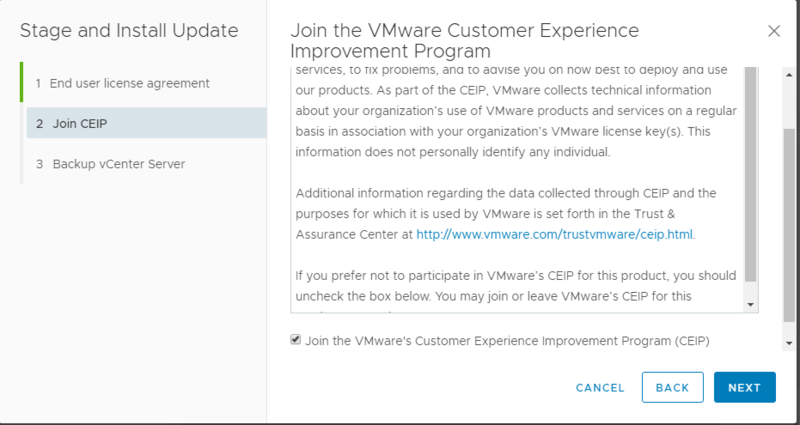 Now you will have to log on VAMI and go to Update tab. 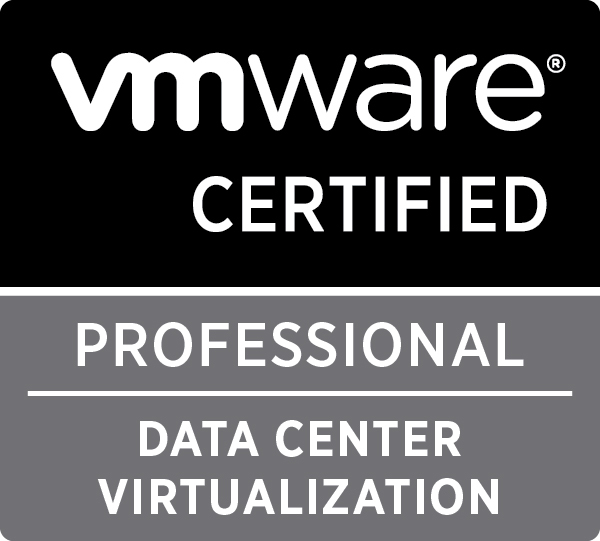 Remember that in order to access the VAMI, you need to logon with administrator@vsphere.local user. 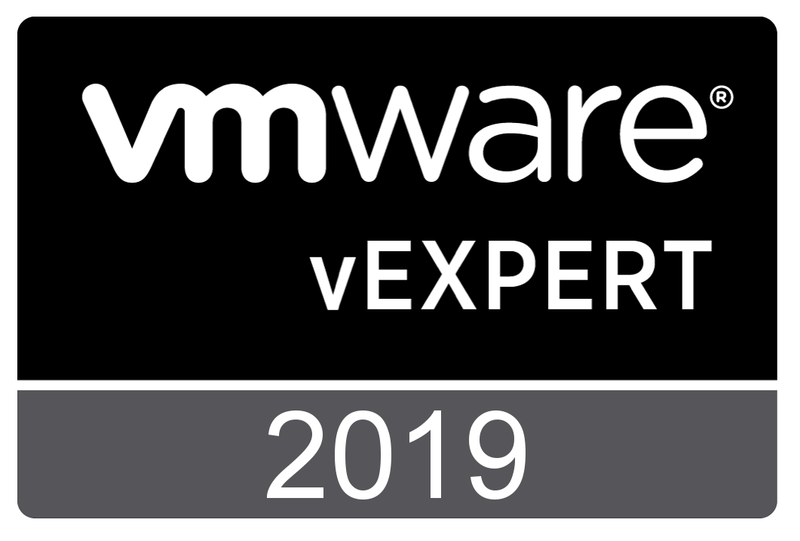 If your VAMI has access to internet you can just click on Check Updates which uses the default repository and if it does not have access to internet you can mount the vCSA ISO. 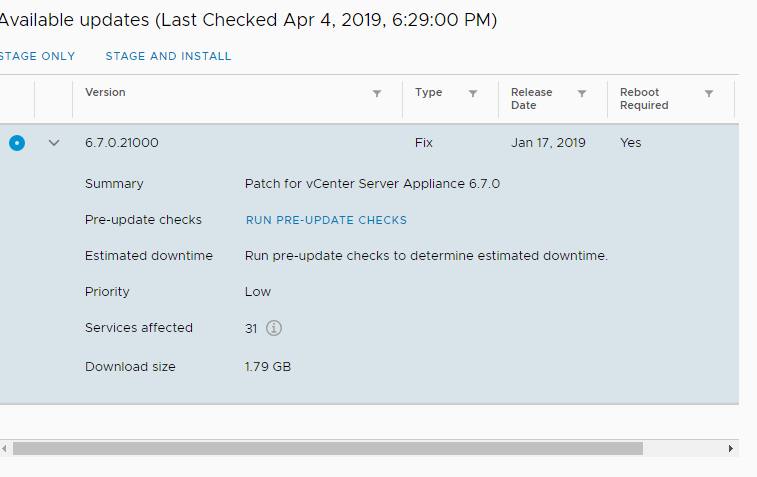 Before you apply the update you can run pre-update checks which will determine estimated downtime. 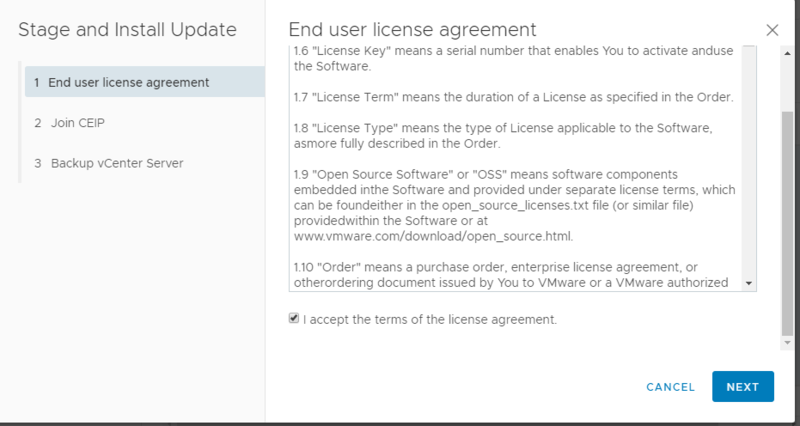 After you click on stage and install you will first have to accept the End User License agreement and join CEIP if you want. 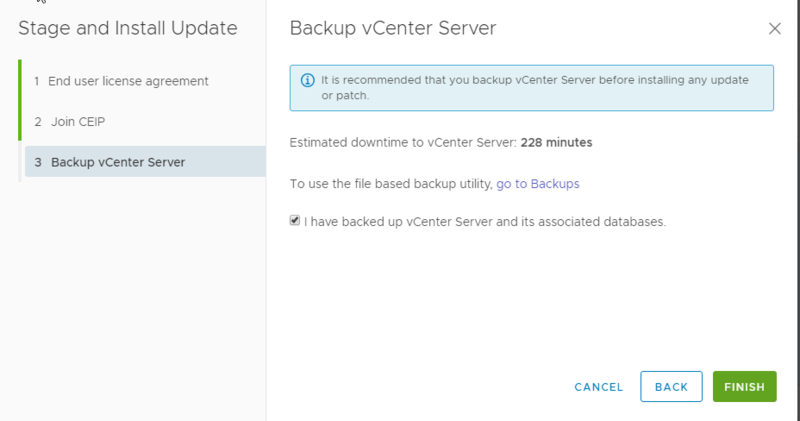 Last step before starting the installation will remind you about the backup and will also give you the possibility to go to Backups and make one if you don’t have. 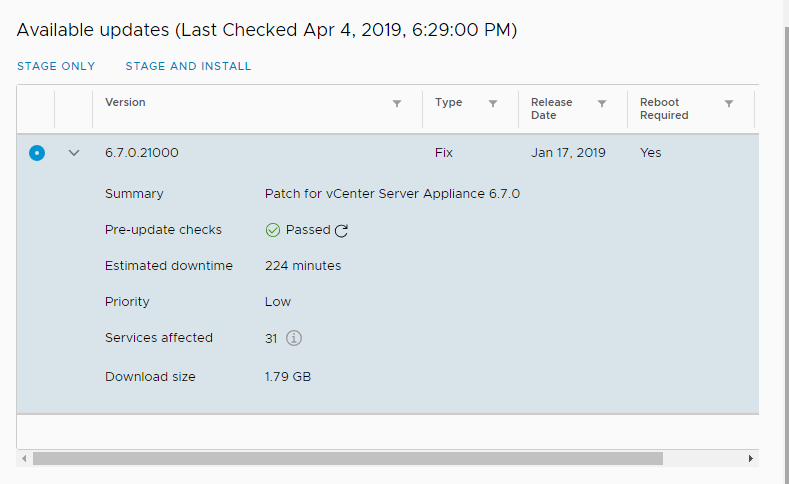 You will also receive an estimated downtime for the vCenter Server. Click finish and the update will start. 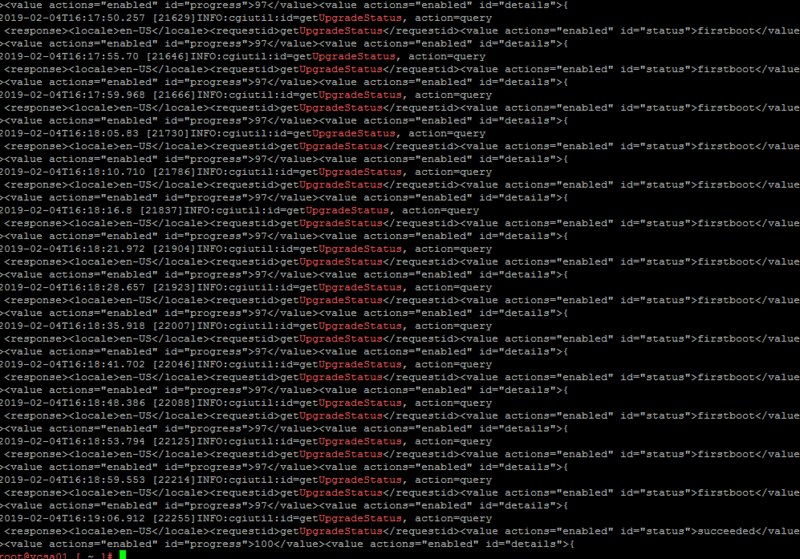 During the update process the VAMI will reboot and you will loose access to it. 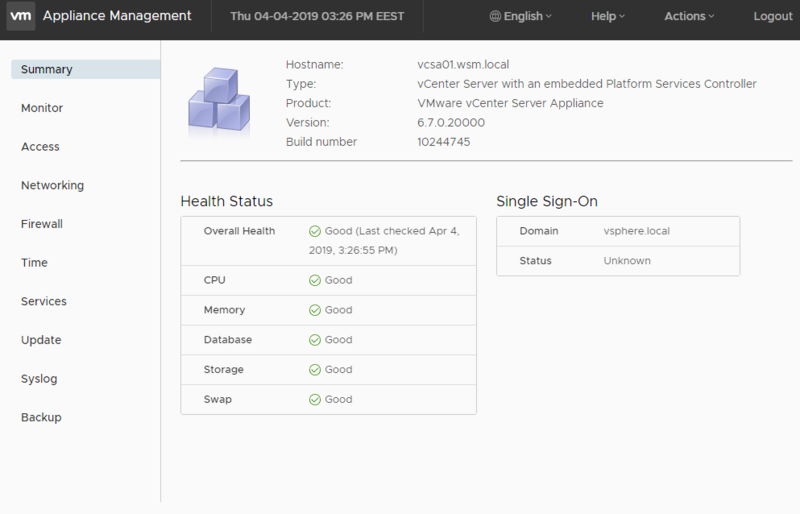 You can check the status of the vCSA by logging on the ESXi server that hosts it. 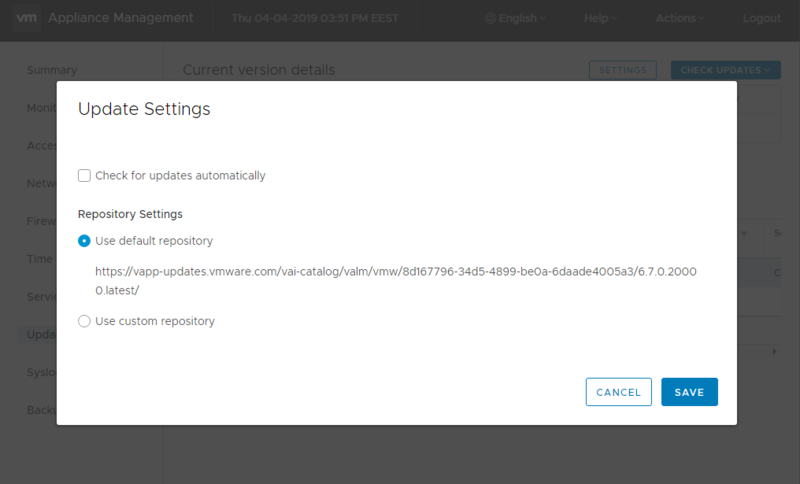 Once the vCSA is up you can login in VAMI and check the current version of it.